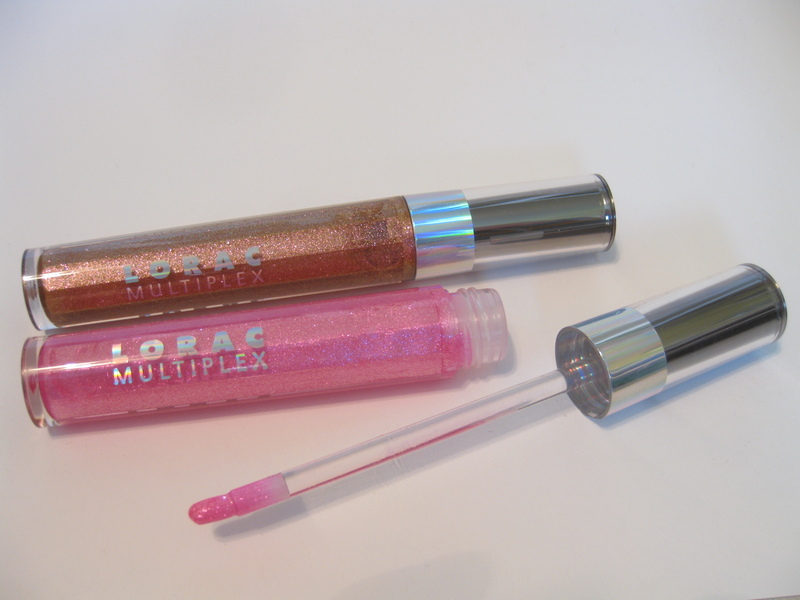 As you all probably know by now, LORAC's Multiplex 3D Lip Gloss is one of my favorites. 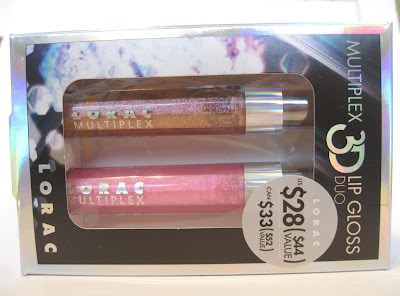 It gives me everything I need for the perfect shimmery lip and the shades can vary from bold and dramatic (extra sparkly and pigmented) or toned down and natural (shimmery and sheer.) 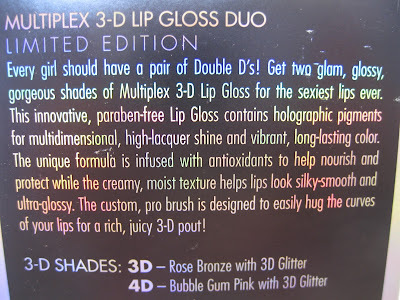 4D and 3D go in the more natural category so if you're more of a low maintinence gal when it comes to your lips, read on. The Packaging: LORAC tubes are pretty neat -they don't look round (but they are) and give off the affect that they're some type of hexagon shape instead. 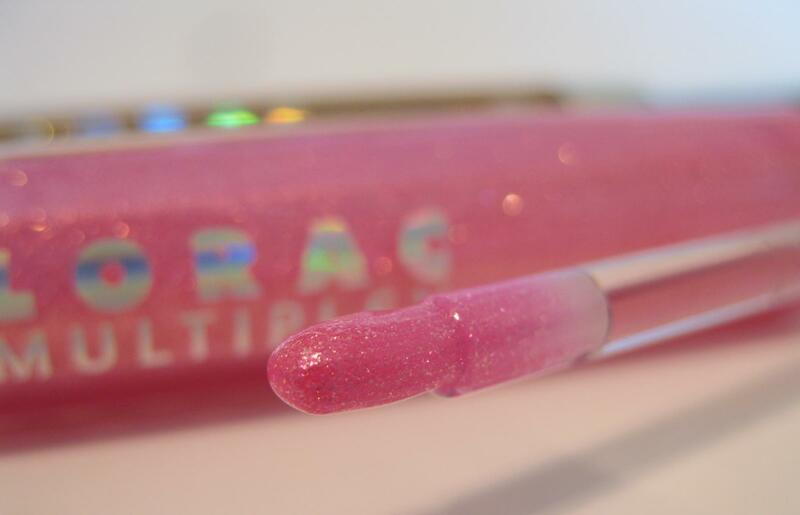 The brush applicator is also idea for lip gloss application and evenly distributes the gloss and shimmers. The mirrored, silvery onyx cap is prone to fingerprints. 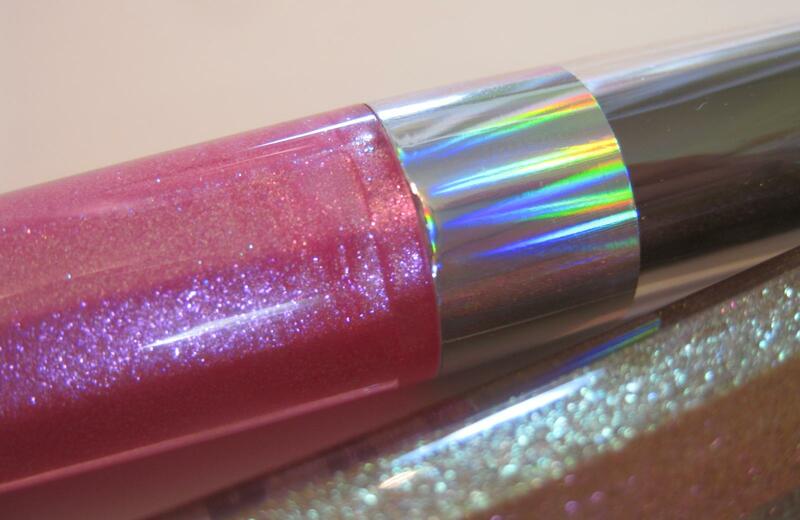 Also, the pretty holographic rings and lettering rub off over time but that's expected from most lip gloss tubes. The Product: This is a great value for anyone who enjoys glittery glosses. One tube usually retails for $22 so two for $28 is very reasonable. 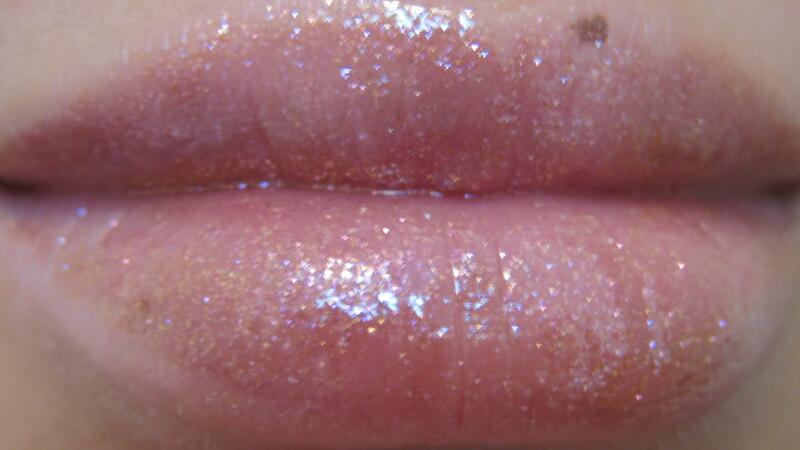 Extremely moisturizing while gloss is applied and after it wears off. Doesn't sink into lip lines. Never looks dry or flaky -even with the lighter shades. 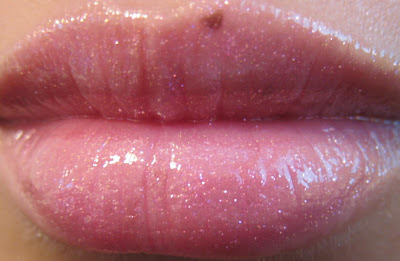 Makes lips look full and pillowy even though it's not a plumper. Not gritty (even with the heavy dose of glitter). Long lasting. The more pigmented shades last up to around 6 hours while the sheerer shades (3D and 4D) last about 4. No nasty taste. No taste at all really. Leave behind a light "stain" after the gloss wears off. Honestly, the only cons that I can find are that unlike their sister shades, 3D and 4D are, again, on the sheer side. I generally prefer glosses with better color payoff but these two shades are nice for low key looks. 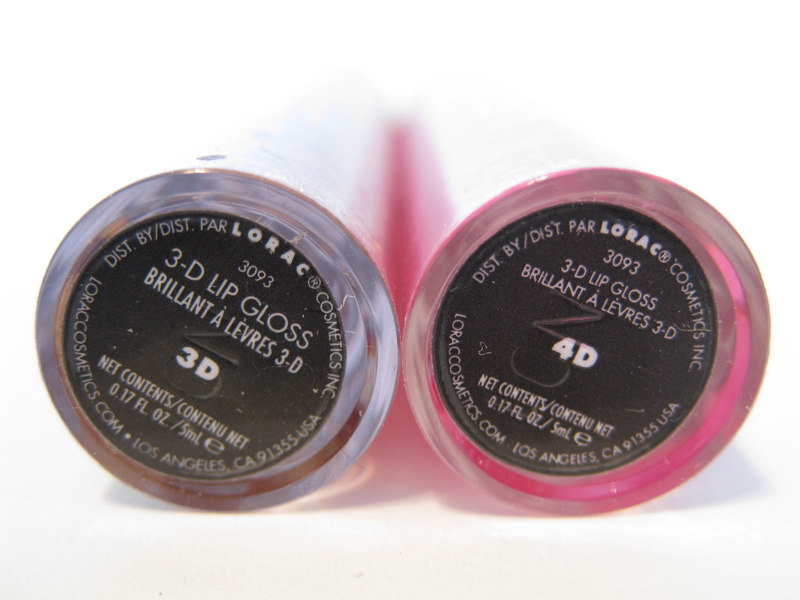 These shades are perfect for making your lips stand out without going overboard or drawing too much attention to them. Overall: I initially thought that 4D would have better color payoff but its being sheer doesn't turn me away. As for 3D, I already owned it so I knew what to expect. These are my go-to glosses when my lips are chapped and dry because I know they'll feel good on my lips -not make them worse. I also love how full they make my lips look without the burning sensation of a lip plumper. 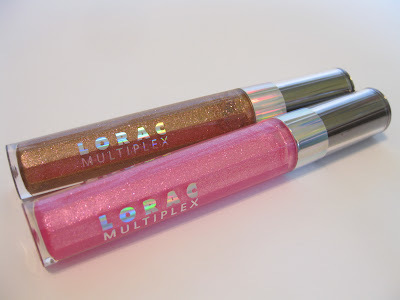 LORAC's Multiplex 3D Lip Gloss is my HG gloss and if you're interested in adorning your pucker with a nice dusting of shimmer, you need to give these a try! It's too bad that the color payoff isn't very good! 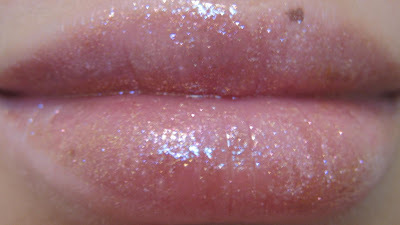 I have a mini of the 3D gloss and I like it a lot better than other glitter glosses I've tried! @ Anna Elizabeth.. 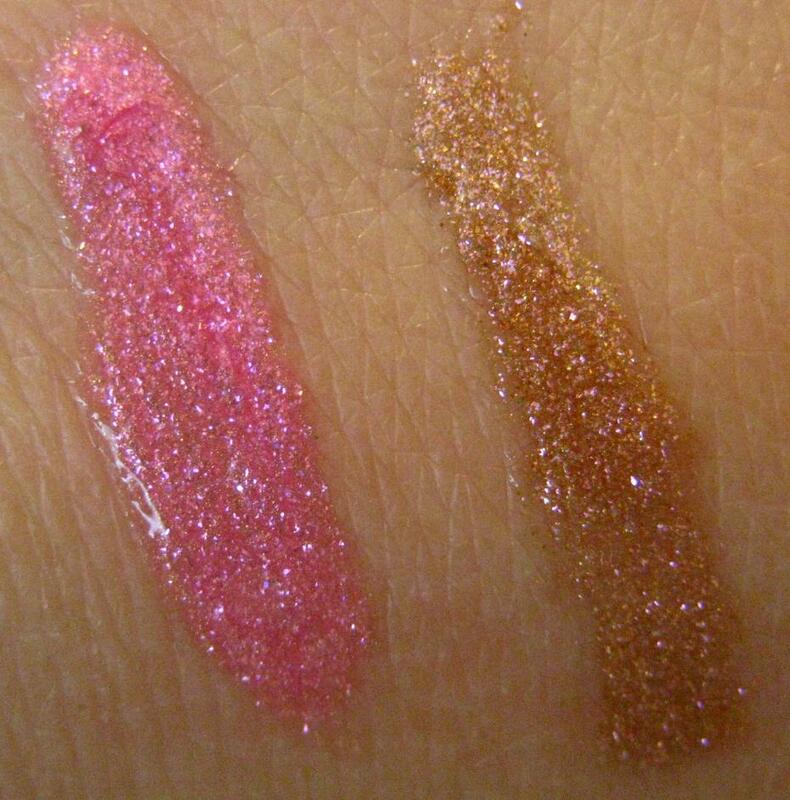 It's my favorite glitter gloss! Since buying these, I haven't even touched my MAC Dazzleglasses.